(CNN) -- Questions continued to swirl Thursday over the president's decision to withdraw a pardon for a New York developer involved in a Long Island mortgage fraud scheme. President Bush withdrew the pardon of Isaac Toussie after a firestorm of criticism. Isaac Toussie, 36, was convicted in 2001 of mail fraud and of making false statements to the Department of Housing and Urban Development that stemmed from the mortgage scheme. The White House initially announced the pardon Tuesday afternoon, immediately setting off a firestorm of criticism from angry homeowners and investors, as well as government watchdog organizations quick to note Toussie's ties to prominent Republican officeholders. • Why didn't the White House conduct a more thorough investigation of Toussie's background? • Why did White House Counsel Fred Fielding circumvent the typical pardon application process by directly considering Toussie's clemency request instead of leaving it to the Justice Department? 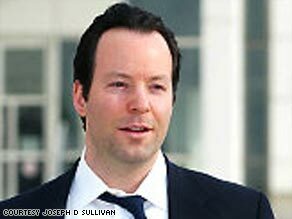 Toussie and his father, also a developer, are defendants in a lawsuit filed in New York federal court on behalf of more than 400 minority home purchasers who allege a conspiracy involving racial steering, racketeering and fraud related to homes the Toussies built on Staten Island, attorney Peter Seidman told CNN. Seidman, a partner in a law firm representing the plaintiffs, said he was "very pleased" with President Bush's order for a review of the pardon. "It [the pardon] was a bitter pill for the home purchasers to swallow," he said. The Toussies had previously been accused of conspiring with lenders and others to build and sell substandard homes -- a charge they denied. According to a senior administration official, the White House learned new information about Toussie's case Tuesday night -- hours after the pardon was announced. Specifically, the White House learned, according to the official, "additional information about the nature of fraud [Toussie] carried out." The White House also learned that Toussie's father had made numerous contributions to leading GOP politicians. In 2008, Toussie's father donated almost $40,000 to Arizona Sen. John McCain, Minnesota Sen. Norm Coleman, Oregon Sen. Gordon Smith and Virginia Rep. Eric Cantor. White House press secretary Dana Perino issued a statement Wednesday saying that "based on information that has subsequently come to light," Bush had told the Justice Department's pardon attorney not to act on the pardon extended to Toussie. Instead, Perino said, "The president believes that the pardon attorney should have an opportunity to review this case before a decision on clemency is made." While almost all pardon requests go through the Justice Department, the Constitution allows the president to grant a pardon or commutation to any individual for any reason. Perino said Toussie's pardon was withdrawn before it reached the final stage of the process. The president's request never made it to the pardon attorney, who actually executes the pardon requests. Bradford Berenson, Toussie's lawyer, issued a statement saying Toussie "remains confident" that the pardon attorney will find in his favor. Toussie was sentenced in September 2003 to a five-month prison sentence in the Long Island case, as well as three years of supervised release. Seidman told CNN that the plaintiffs in the lawsuit against the Toussies allege that the quality of construction in homes they bought on Staten Island was inferior to that in the model homes upon which they had based their decision to buy. They also allege that their applications were coded by race, a violation of civil rights laws, and that they were steered away from racially integrated neighborhoods to segregated neighborhoods, he said. "I'm baffled that Toussie was selected as a candidate for a pardon in the first place," Seidman said. "So I don't know what I would say about the re-examination, other than why in the first place they thought he was worthy." The Toussies deny the allegations in the lawsuit. An administration official noted it is rare for a pardon to be reversed. Bush's 189 pardons and nine commutations are far fewer than those granted by Presidents Bill Clinton and Ronald Reagan in either of their two-term administrations. Bush's planned pardon of Toussie was one of 19 presidential pardons announced earlier this week. CNN's Kevin Bohn, Elaine Quijano and Alan Silverleib contributed to this report.